There is a trip to Chiswick House and Hogarth House on Wednesday, meeting up there at 11am. 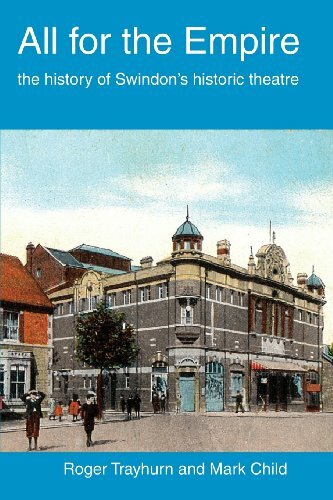 On Friday evening at 7.30pm, there is a talk by Roger Trayhurn on the History of the Swindon Empire at the Museum and Art Gallery. Before the talk, at 7pm, there will be a meeting so Friends and interested people can say what they feel about the future of the Museum and Art gallery. Our next Friends trip is on the 26th of June to Chiswick House and Hogarth House. We are sharing cars to get there because it will work out cheaper than hiring a minibus. Chiswick House is a magnificent neo-Palladian villa set in beautiful historic gardens in west London. A £12.1 million project has restored the gardens which were unveiled in June 2010. Hogarth bought the house to act as his family’s country refuge, a weekend and summer home, away from the noise of his other home in what is now Leicester Square. The Hogarths extended the house and enjoyed the fruit trees and nut walk in the walled garden. Stepping through the gate you will see the ancient mulberry tree - the Hogarths are said to have made mulberry pies for the Foundling children who stayed with them. Hogarth had a ‘painting room’ at the bottom of the garden where he was working until a few days before his death.